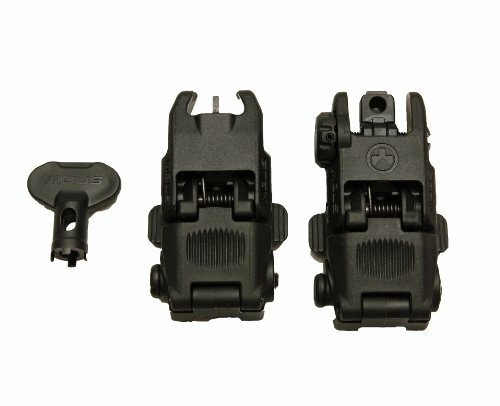 Does the Kel-Tec KSG Need New Sights? Kel–Tec’s KSG model shotgun is a revelation. It packs a punch, with plenty of firepower. It works, whether as a duty shotgun or a home defense firearm. Somewhat suitable for some distances, but meant mainly for close quarter battle, the KSG is one of the best modern incarnations of a shotgun. 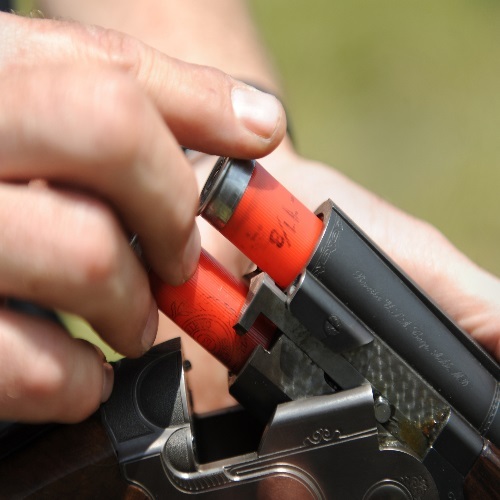 The shotgun is now over 200 years old, and it is one of the most popular weapons out there. The KSG is a great weapon, but even great weapons could use some accessorizing. The Magpul Gen II is a great set of back-up sights. 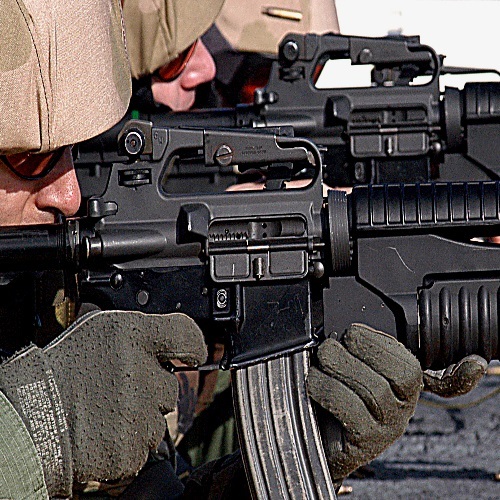 Back-up iron sights are typically made of steel and aluminum. This provides durability for long term use, but it comes at a price of sorts – it is a tad heavy. Polymer is a good third option if weight is an issue. Magpul’s sights are made primarily of polymer. When it comes to steel, aluminum, and polymer sights, there are only several brands out there which are worth mentioning. Magpul is one of them, and its sights are second to none. They get the job done, are easy to adjust, and are lightweight. A perfect addition to any AR-15 or KSG. There is a continuing debate of sights VS optics. But what people seem to forget is that it is a matter of personal preference and taste. Some are more comfortable with iron sights as a primary sight, and others depend on optics, and only use the iron sights as backup sights. The best thing to do, in my opinion, is to have both. Simply because you need to be prepared to respond. You never know what might happen to electronic, battery-powered optics. They may help you to acquire a target, but if those optics fail – for whatever reason – you still want some sights on your weapon. Even if you have the best optics in the world mounted on the rails of your firearm, training with backup sights remains an essential part of being a responsible weapon owner. Make sure the sights are stable and installed properly, or else your aim will be off. The KSGs’ piccatiny rails make simple to install and adjust any sight. Once these sights are in place, they are pretty much guaranteed to stay there. They flip up to about an inch and a half. Rear sight adjustments can be made using the dial on the sight, and there are three different positions in which the rear sight can be used: two apertures for short- and long-range target acquisition, and the option of folding both apertures down, leaving a blank space through which the front sight is visible. The front sight comes with a tool for elevation adjustments. Note: The original steel Magpul sights are made in the United States. Magpul Industries also makes professional training and simulation (PTS) sights for Airsoft guns. These are a lower quality product, and more often than not they are made in China. Make sure you pick up the right kind of sights. The PTS sights will have ‘PTS’ branded on the sights, so watch out for that. If you have PTS sights on an AR-15 or KSG, they may work but they are not recommended. Do yourself a favor, and get some higher quality sights for your weapon. Easily activated from either side or by pressing the top. Protective wings shield the dual, same plane flip apertures & spring-locking A2 front sight post. This piece has been dedicated to the many companies making quality sights for the KSG. They can all help to enhance the weapon. The question still stands though on whether the KSG needs new sights? Maybe you want to keep the KSG simple and rely on only your eyes to aim. The KSG seems to have been designed for close combat scenarios. It would seem that maybe there is no need for sights at all. Afterall if your target is only a couple of feet in front of you there may be no time to point and aim using iron sights. In my opinion this is a interesting question worth asking. It comes down to how you are going to use the weapon. Sights offer the shooter the ability to achieve better aim and success when shooting. I can see the argument for not adding any sights to this shotgun but I think it would do the gun and the shooter a disservice. The KSG comes equipped with dual piccatinny rails. These shotguns are just asking to be customized with sights and other gadgets. Kel-Tec designed this gun for this purpose. This doesn’t even begin to come to grips with the fact that any gun should have some kind of sight. You could be the most experienced shooter on the planet and a sight would still be helpful. I think the discussion isn’t whether you should add a new sight, rather it’s which type of sight should you add. This is a decision that each shooter needs to make for himself. 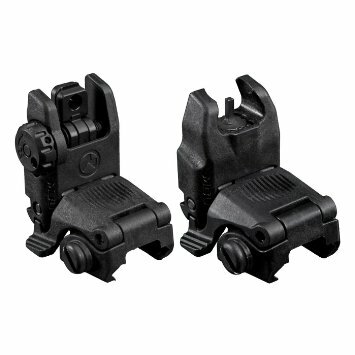 Some of the most popular sights for the KSG are the back-up iron sights. They do not require battery power and they can really separate the men from the boys. Of course if you have the cash I would tell anyone to get a HWS or any number of high quality sights or scopes on the market. When it comes to sights it is all about preference. The KSG is an advanced weapon so you may want to follow suit with a advanced sight. To me adding a back-up iron sight seems like a logical move. They are affordable and durable. Does the KSG need new sights? It doesn’t necessarily “need” new sights. Should you get them anyway? I would have to answer unequivocally yes.